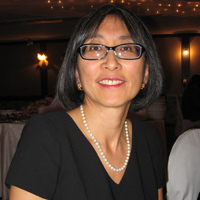 Jane Ling is a registered pharmacist having completed her undergraduate degree in pharmacy at the University of Toronto in 1980. She is a primary care pharmacist with the North Durham Family Health Team, a community pharmacist at Lovell Drugs in the Glazier Medical Centre in Oshawa and a clinical lecturer for the School of Pharmacy University of Waterloo. She specializes in smoking cessation having completed several courses and certifications including TEACH (core, mental health, pregnancy & aboriginal populations), CTI, CPhA QUIT, Break Free and CATALYST. Jane is a founding board member and President of CEASE (Central East Association for Smoking Elimination) www.ceasentwork.com It’s mandate is to bring together a wide variety of healthcare provider advocates to share best practices and work together to provide smoking cessation support to patients. It’s members include physicians, dentists, pharmacists, optometrists and nurses. Jane is also the founding member and President of Pharmacists for A Smoke Free Canada whose membership includes smoking cessation champion pharmacists from across Canada. It’s mandate is to promote the role of pharmacists in smoking cessation in the healthcare setting through professional development and advocacy. Willa graduated with her Bachelor of Science in Pharmacy from the University of Toronto in 1981. 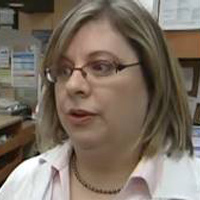 She is currently the Pharmacist Manager of Lovell Drugs in downtown Oshawa. Smoking cessation has been a passion for her and she has been able to use her knowledge to aid patients in a region which has a large population of smokers. She is a member of CEASE, QUIT certified and she has also completed the CATALYST program. JOHN N. SHASKE, BScPhm. R.Ph. 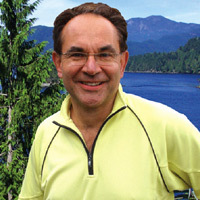 After graduating from UBC Pharmacy in 1978, John completed a hospital pharmacy residency at Vancouver General Hospital where he studied compliance in the outpatient department. In 1979, John opened a community pharmacy on the Sunshine Coast, which, since its inception, has adhered to a strict clinic pharmacy focus where the health and well-being of their patients is the unquestioned priority. John is a strong supporter of continuing education, both in pharmacy and business. He has completed numerous business courses offered by Ontario Pharmacists Association, and is also a UBC Faculty of Pharmacy Continuing Education regional coordinator and clinical instructor. John and business partner (and fellow pharmacist) Chris Juozaitis share this dedication to education,and together, they are often called upon to speak to colleagues and the public. 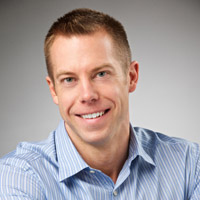 John combines his healthcare professional’s commitment to patient compliance and highest possible pharmaceutical outcomes with a well-honed entrepreneurial approach. The results are proven: both financially, and most importantly, from a whole-health patient-care perspective. As those who know John will attest, his mission is both straightforward and heartfelt—he will know he’s done his job well on the day that his business is no longer necessary. Until then, this healthcare professional’s work continues. Ron Pohar graduated with distinction from the Faculty of Pharmacy at the University of Alberta in 1995 and began his career as a clinical pharmacist specializing in mental health, geriatrics and smoking cessation, particularly in those with mental illnesses. Ron has extensive training in the tobacco addiction and smoking cessation from the Centre for Addictions and Mental Health (CAMH). He has been involved with many smoking cessation initiatives including the Tobacco Reduction and Cessation (TRaC) Project and efforts to remove the sale of tobacco from pharmacies in Alberta. Ron has developed a number of smoking cessation training programs for healthcare professionals, including an accredited certificate level self-study program for pharmacists (Smoking Cessation: Counsel to Quit) and the CATALYST (Call to Action on Tobacco Addiction: A Model for the Busy Pharmacist) Program, a live program that has trained over 4000 pharmacists across Canada in smoking cessation. In his clinical practice, Ron works with inner city residents and those with mental illnesses to assist them in tobacco reduction and cessation. Ron has published a number of articles on smoking cessation and provides expert reviewer in this area. His work in smoking cessation has been recognized with local, provincial and national awards. 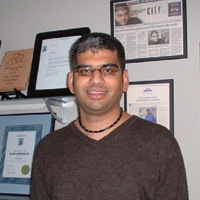 He received a Blue Ribbon Award from the Edmonton and Area Tobacco Reduction Network for his work in smoking cessation, the Nycomed Magnum Opus Award for his advanced training in smoking cessation and a Commitment to Care Award for Health Promotion for the development of the CATALYST Program. Ron was a recipient of an Alberta Pharmacy Centennial Award of Distinction and is an advocate for the profession of pharmacy through his work with a number of organizations and was a founding board member of the Alberta Pharmacists’ Association. In addition to his clinical practice, for over 15 years, Ron has worked as a medical writer, authoring print continuing education lessons for pharmacists, pharmacy technicians, and other health care professionals on a wide range of clinical topics. He also serves as an expert reviewer of continuing education lessons. Ron has also developed and presented many live continuing education presentations on mental health, dermatology, smoking cessation and pharmacy business development. Jenna Anderson is a Bachelor of Science (B.S.P. ); Pharmacy graduate from the University of Saskatchewan, a Certified Diabetes Educator, and a PACT certified pharmacist. Jenna works with community stakeholders on projects related to tobacco cessation, and before joining the has extensive experience offering smoking cessation counselling to patients. Jenna partners with industry and community stakeholders to offer educational presentations related to tobacco use and cessation at public events and professional conferences. 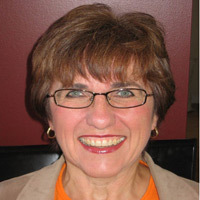 Audrey McLelland completed a Bachelor of Science in Pharmacy degree at the University of Saskatchewan in 1975. She retired in 2014 from Safeway Pharmacy in Saskatoon, Saskatchewan. Audrey was a Certified Diabetes and Respiratory educator. She was often asked to do Spirometry assessments in family physician and primary health care sites on current and ex-smokers. Audrey had a certificate from TEACH, CATALYST and PACT. She was a PACT trainer and trained allied health care professionals and second year pharmacy students. Audrey was involved in promoting the utilization of PACT trained pharmacists to family physicians. She was dedicated to bringing down the smoking rates in Saskatchewan. 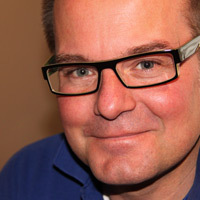 Peter Zawadzki is currently the Principal of Peter Zawadzki Consulting, focusing on partnerships, research and education in the areas of cost-effective pharmaceutical care and health benefits. Peter graduated from the University of Toronto’s Faculty of Pharmacy. Until recently, he was responsible for Professional Affairs for Pharmasave Drugs (National) Ltd., where he collaborated with key stakeholders to advance the profession of Pharmacy and guided Pharmasave through the changing healthcare environment. Peter is equally dedicated to clinical practice as he is to advancing and promoting the profession of pharmacy. He has served on numerous committees and councils that range from a community focus to governmental policy setting. Peter is a past Board Member of the Canadian Pharmacists Association (CPhA), the Ontario Pharmacists’ Association (OPA), the Humber College Pharmacy Technician Advisory Committee, and the CPhA Co-Chair of the Pharmacy Advisory Committee on Private Payers. An experienced speaker, Peter has spoken nationally and internationally at pharmacy faculties and conferences on various pharmacy and healthcare issues. He was a facilitator for the Clinical Tobacco Intervention (CTI) Program funded by the Ontario Ministry of Health and Long-Term Care and is currently a facilitator/moderator for the Canadian Pharmacists Association’s QUIT Program. When the high prevalence of smoking was identified as a key risk factor for HIV positive patients at the Immunodeficiency Clinic at the University Health Network, Peter developed a comprehensive smoking cessation coaching program for clinic patients. Peter and Jane Ling are the co-authors of Implementing Smoking Cessation Services in the Pharmacy available online from the Ontario Pharmacists’ Association. Peter is a founding member and Vice-President, Ontario for Pharmacists for a Smoke Free Canada. Peter holds Certificates of Completion from the Training Enhancement in Applied Cessation Counselling and Health (TEACH) Program, Motivational Interviewing Skills from the University of Toronto, Faculty of Medicine Continuing Professional Development, and Tobacco and Public Health: From Theory to Practice in Protection, Prevention, and Cessation from the Ontario Tobacco Research Unit (OTRU). Among his many accomplishments, Peter is the co-author of the best-selling book, Mothers & Fathers: Health and Financial Advice to Share With Your Parents and is the recipient of the Ontario Pharmacists’ Association Mortar and Pestle Award of Merit for his outstanding achievements in promoting the profession of Pharmacy. Chris Oliveiro graduated from the University of Toronto with a Bachelor of Science in Pharmacy degree. He started his career as a pharmacist working for Shoppers Drug Mart and later became Pharmacist-owner of 2 Shoppers Drug Mart stores in Mississauga. 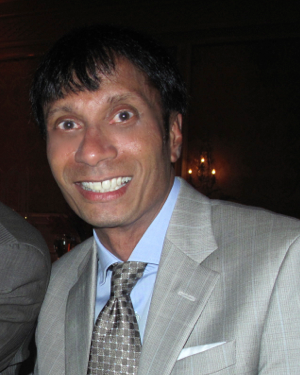 In 1995, Chris opened Springdale Pharmacy, an independent pharmacy in Brampton, Ontario. Today, he also owns and operates a second pharmacy, James Potter Road Pharmacy, also in Brampton. In 2016, Chris graduated with high honors from the University of Florida with a Pharm.D degree. He was also the recipient of the Outstanding Leadership Award in his graduating class. Chris is also a Certified Diabetes Educator and practices as a Clinical Pharmacist working closely with the doctors nearby his 2 stores to educate patients on diabetes and other diseases. As a Certified Diabetes Educator, Chris was shocked to learn that many of his patients with diabetes smoke tobacco. He became smoking-cessation certified and has a proven success record in helping many of his patients break the habit. His wish for Ontario is to have a smoking cessation certified pharmacist available in all pharmacies. Chris is also a strong advocate for the pharmacists’ expanded scope of practice and is a regular visitor at his MPP’s office, advocating for minor ailments prescribing and coverage for smoking cessation programs for all Ontarians. FIONA REVIE, BSc (Hons) Pharmacy, PGDip Prescribing Science, MRPharmS, R.Ph. Fiona graduated from the Robert Gordon University in Aberdeen, Scotland and started her career as a hospital pharmacist. However she moved to community pharmacy after several years and has worked for several independent and multiples over the years. In 2005 she graduated with a post graduate diploma in Prescribing Science from the Robert Gordon University, completed in response to the changing role of the pharmacist in Scotland.She has been involved with community pharmacy smoking cessation pilots and National Health Service programmes since 2001. In 2008 she moved to Prince Edward Island and in 2010 gained her pharmacy license in Canada. She is employed with Murphy’s Pharmacies and is currently involved in piloting the Catalyst Programme having completed the Quit Counsellor training in 2010. Recently,she set up a smoking cessation programme for a local family physician and became involved with the PEI Tobacco Reduction Alliance. She believes that community pharmacists are ideally placed, accessible health care professionals to aid and motivate smokers become non-smokers. Jason graduated from Dalhousie Pharmacy in 2014 where he has returned to work for Murphy’s Pharmacies in his home province of PEI. Jason is a Past President of the Canadian Association of Pharmacy Students and Interns and served in various leadership roles during his pharmacy education. Most recently Jason joined the PEI Tobacco Reduction Alliance, is now an on the executive on the PEI Pharmacist Association, and is working towards his Certified Tobacco Educator. Jason actively helps students gain work experience and clinical experience through their programs, and has been a participant in studies involving pharmacist documentation at the IWK in Halifax NS, as well as a study on Pharmacits Conducting Medication Reconciliation at the QEH during his education. He is happy to have joined Pharmacists for a Smoke Free Canada as a co-Vice President for PEI. 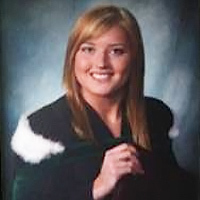 Robyn Noel completed her Bachelor of Science in Pharmacy in 2009 at Memorial University of Newfoundland. She has been working with Wal-Mart Pharmacy since graduation as a relief pharmacist in nine different Wal-Mart pharmacies throughout Newfoundland and Labrador. In February 2011, Robyn completed the CATALYST program in Toronto which aims to train community pharmacists on how to effectively treat, counsel and follow-up with patients who are interested in smoking cessation and is also geared to motivate smokers who are not yet ready to quit. As she is highly motivated in this area of her practice, Robyn hopes to soon start a pharmacy-based smoking cessation program with her colleagues to improve the quality of life of many of her patients and to motivate them to take control of their health. LESLIE PHILLIPS, B.Sc. (Pharm), Pharm. D.
Leslie is a Professor at Memorial University of Newfoundland’s School of Pharmacy and Faculty of Medicine/Discipline of Psychiatry. She has a cross appointment with the Province’s Eastern Health Authority and works as a clinical pharmacist in the P.I.E.R. Program (Psychosis Intervention and Early Recovery). Leslie completed a Pharm. D. at UBC in 1993 and a post-doctoral psychopharmacy residency in 1994 from Riverview Hospital, Port Coquitlam, BC. She has a keen interest in smoking cessation and has completed several on-line programs, most notably CPhA’s Q.U.I.T program and Advancing Practice Smoking Cessation: Counsel to Quit. 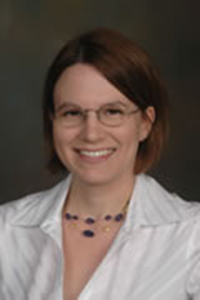 Leslie teaches smoking cessation in the pharmacy undergraduate and psychiatry residency programs and currently runs a smoking cessation program in the School of Pharmacy’s Medication Therapy Services Clinic. In Winter 2017 she will be completing a research project looking at student learning in an interprofessional, student-led smoking cessation clinic. 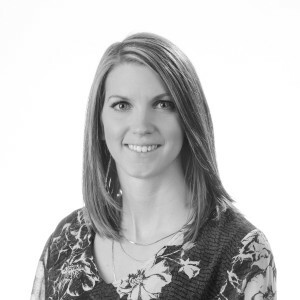 Kimberlee Olfert graduated from the College of Pharmacy and Nutrition at the University of Saskatchewan in 2007. 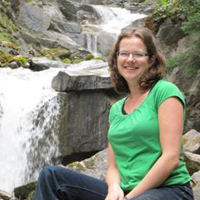 She was worked in community pharmacy in Saskatchewan and, more recently, in Whitehorse, Yukon Territory. Her areas of interest are in geriatrics, travel medicine and smoking cessation. She has completed PACT (Partnership to Assist in the Cessation of Tobacco) training to assist patients with tobacco cessation. Through the PACT program she was involved in individualized patient counselling sessions and group seminars. She has given several community presentations on various topics including smoking cessation and has given training for local physicians/residents on medications and services available to assist patients with quitting smoking. Her focus is to assist patients in improving health in all areas of life. Graduating from the University of Saskatchewan with his bachelor of science in pharmacy, Colin has spent 11 of his last 15 professional years as a Certified Diabetes Educator and a practicing pharmacist focusing on providing diabetes education and smoking cessation services to his patients. Colin is an assistant manager at Taché Pharmacy, an independent clinical pharmacy in Winnipeg, Manitoba. Colin has held positions previously in corporate retail pharmacy and store management positions. His background has given him exposure to government relations, Health research, disease state management development and NPO relations. 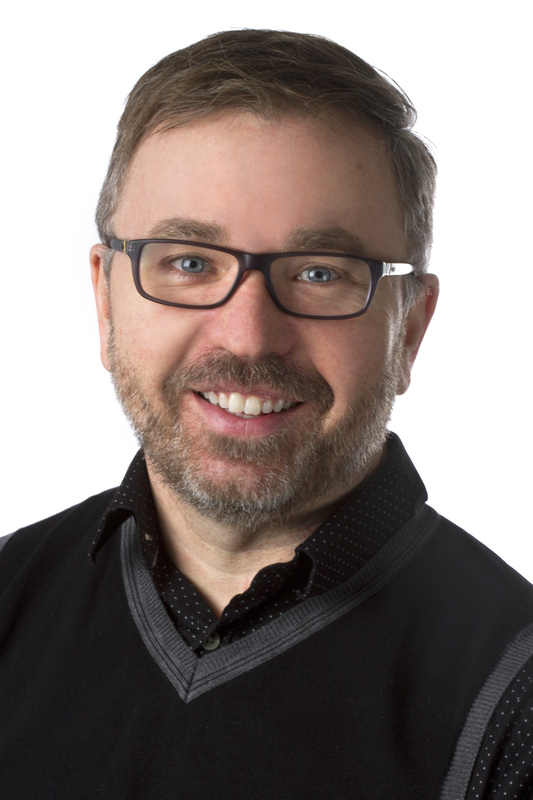 Currently the only Catalyst (CALL TO ACTION ON TOBACCO ADDICTION: A MODEL FOR THE BUSY PHARMACIST) trainer in Manitoba, Colin is highly involved in training pharmacists on smoking cessation program development, operations and promotion. Previously, Colin has been involved with MANTRA (Manitoba Tobacco Reduction Alliance), helping to present to various groups regarding smoking cessation treatment. Colin is currently the Manitoba representative for the Canadian Pharmacists Association Diabetes Strategy for Pharmacists, a training program aimed at increasing capacities for pharmacists wishing to increase their diabetes expertise. KRISTINE PETRASCO, BScPharm, CRE, CTE, R.Ph. Kristine received her Bachelor of Science in Pharmacy degree from the University of Manitoba, Faculty of Pharmacy, in 2000. She became a Certified Respiratory Educator in 2007 and a Certified Tobacco Educator in 2014. She also obtained her Clinical Educator Certificate from Michener Institute in 2013. Most of Kristine’s experience has been with Asthma, Allergies and COPD, with a particular interest in Tobacco-Use Disorder. Over the past 11 years, Kristine has been highly involved in multiple professional presentations to pharmacists, physicians, other allied health care professionals, and to the public. Kristine has experience in community practice, hospital, industry and academia. She is currently one of the faculty members for the national RESPTrec training programs on Asthma, COPD and Chronic Disease Management Education. She has been trained in TEACH (3 day core course, 2 day mental health & addictions component), CATALYST, PACT, BREAK FREE and has been facilitating the CPhA Q.U.I.T. program in MB since 2007. Kristine is currently a co-author of the Tobacco-Use Disorder Chapter in the CPhA Therapeutic Choices for Minor Ailments publication. In May 2012, she became the Regional Pulmonary Educator for the Regional Pulmonary Rehabilitation Program in Winnipeg, MB. In this position, she is working towards the standardization of three Winnipeg sites to ensure best practice guidelines are followed to optimize the care for clients with COPD, which includes smoking cessation. Jean-Pierre is a registered pharmacist having completed his undergraduate degree in pharmacy at the Université Laval in Québec. He also completed a degree of mastery (Maîtrise en pharmacie d’hôpital) at the same University in 1993. He is a pharmaceutical care pharmacist at Hôpital du St-Sacrement du CHU de Québec-Université Laval. He is also teaching coordinator for the department of pharmacy at CHU de Québec. He specializes in smoking cessation since 2000 by personal research and by assisting at many events on the subject. He is a clinical lecturer in smoking cessation at the Faculté de Pharmacie de l’ Université Laval. He gives a lot of lectures in collaboration with the industry on the matter teaching to doctors, pharmacists, nurses, and respiratory therapist. He also participates in many expert panels and consultant for some professional groups on the subject in the Québec region. Judith is a pharmacist based in the Montreal area and a pharmacy consultant providing continuing education to pharmacists and pharmacy staff. She has been involved in the creation of many printed and video documents discussing wise use of medication and the role a pharmacist can play to help with health concerns. She has been a board member of the Quebec Order of Pharmacists and lecturer at the Faculty of Pharmacy at Université de Montréal where she was responsible for the courses of Introduction to the profession with 1st year students and of Pharmacy Management (community pharmacy) for the Master in Pharmacy Practice. 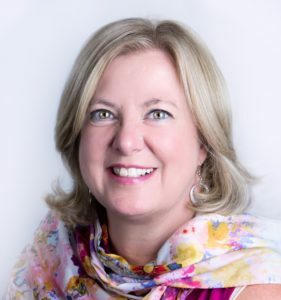 She won the Canadian Patient Counselling Competition from the Canadian Association of Pharmacy Students and Interns (CAPSI) in 1991 and was Centennial Scholar for Université de Montréal in 1989. In 1996, the Quebec Order of Pharmacists awarded her “Le Prix Louis-Hebert” as recognition for her contribution to the visibility and enhanced value of the pharmacist amongst general population and excellence of her practice. 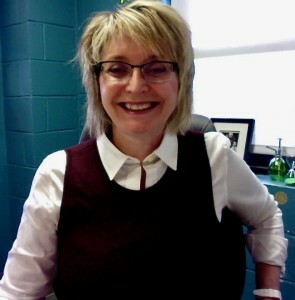 Susan Beresford graduated from the College of Pharmacy Dalhousie University in 1978. She has been involved in education as a lab demonstrator in 1990 and then teaching the Skills Lab Course from 1991 to 1993. She is presently an Adjunct Professor at the College of Pharmacy. Susan is a QUIT facilitator and an ADAPT moderator, recognizing the importance of not only her own continued professional growth but being supportive of her peers as well. She is a Community Pharmacist that has been recognized nationally with a Commitment to Care and Service Award for Overall Patient Care in 2008 and the Commitment to Care and Service Lifetime Achievement Award in 2010. 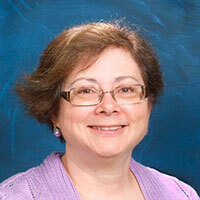 Susan is in her second term as NS CPhA Board representative and is the Past Chair of CPPRG. 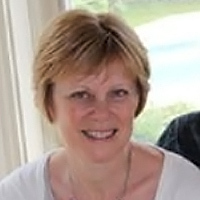 Susan has been active provincially in both PANS and NSCP committees. She has presented from the community level to nationally, facilitating courses as well as presenting five of her team’s innovative projects at three CPhA national conferences. Susan’s current focus is in providing expanded scope services such as Minor Ailment assessment and prescribing, emergency prescribing and prescription adaptation. Inoculation is the newest area in which she is presently training. Susan and her team were recently recognized by Pharmasave Atlantic with two awards for their leadership in providing expanded scope services as well as excellence in providing patient care and service. Patient centered care is the cornerstone of Susan’s practice as she balances the fiscal realities of today’s business model with excelling in delivering care while developing services based business model. Enabling patients to take charge of their health understand their health choices and support their positive choices whether in smoking cessation, weight loss or chronic health management, is her goal.